Isla del Coco, off the coast of Costa Rica, is the only landmass on the Cocos Plate that sits above sea level and thus is the only place where motion of the plate can be measured above the water. 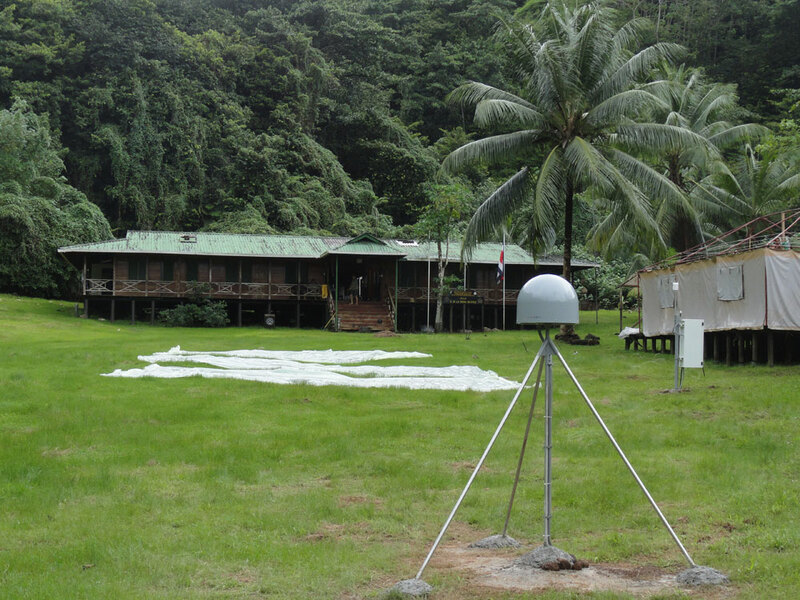 A continuous Global Positioning System (GPS) station installed as part of the Continuously Operating Caribbean Observing Network (COCONet) and the Nicoya Geodynamic Monitoring System (SISMOGENICO), precisely measured the plate motion over 10 months of initial operation. 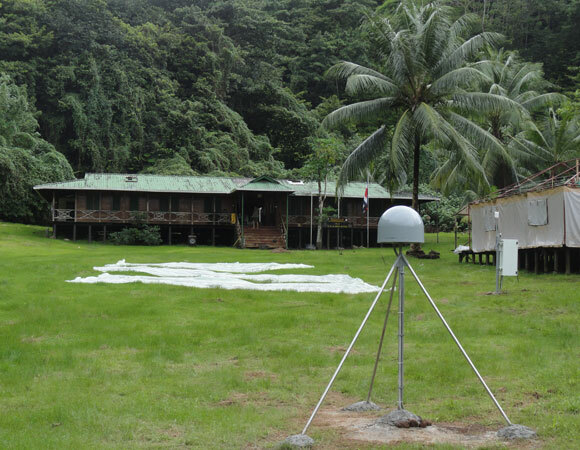 Observations found the Cocos Plate converging with the Caribbean Plate at a rate of 78 millimeters per year. This helps to define the tectonics of the area and to better understand the dangers posed by earthquakes along converging plates, such as the September 5, 2012, Mw 7.6 Nicoya earthquake in Costa Rica. 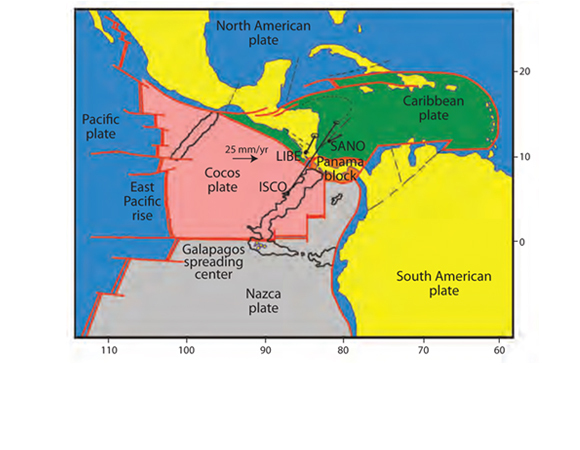 The pan-Caribbean is a complex tectonic region consisting of several small plates being squeezed between the much larger North American and Pacific plates. The January 2010 Mw 7.0 Haiti earthquake was a tragic reminder of how much faulting and activity belies the quiet tropics. Unfortunately little is known about how these plates move and thus little is known about the earthquake hazards. 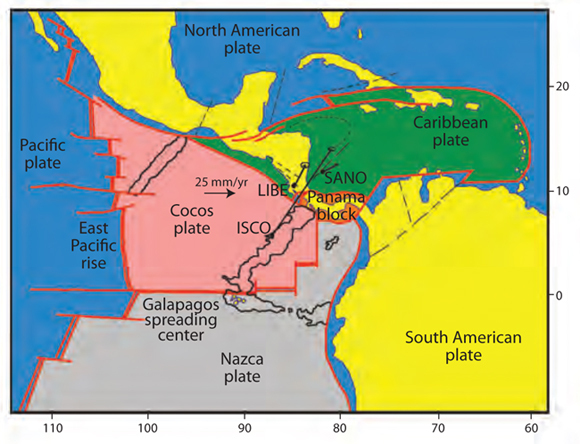 The Cocos Plate is subducting beneath the North American Plate in southeastern Mexico, beneath the Caribbean Plate in parts of Central America, and beneath the Panama Block in southwestern Costa Rica. The September 5, 2012, Mw 7.6 Nicoya earthquake in Costa Rica occurred on a thrust fault where the Cocos Plate is subducting beneath the Caribbean Plate. 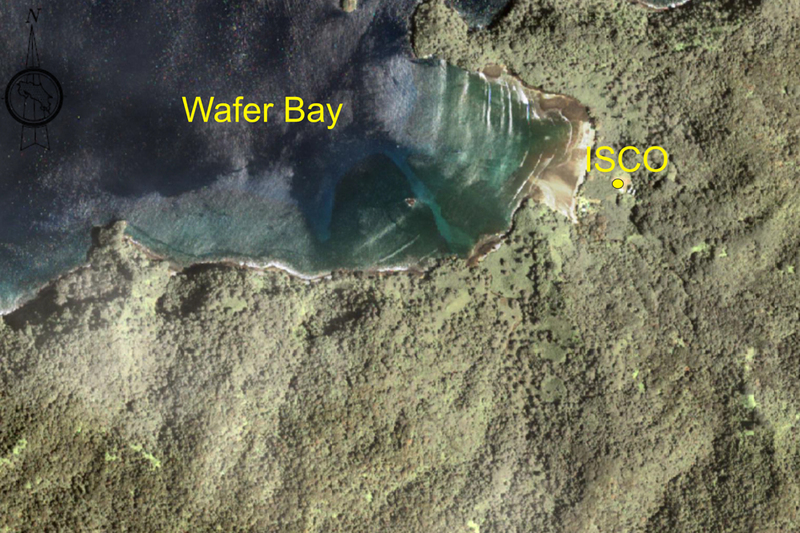 The Cocos plate is covered with water except for a small volcanic island, Isla del Coco, that pops up above sea level along a submarine ridge. This handy landmass is where COCONet and SISMOGENICO installed a permanent and continuously operating GPS antennae and receiver (station is called ISCO). Figure 2. 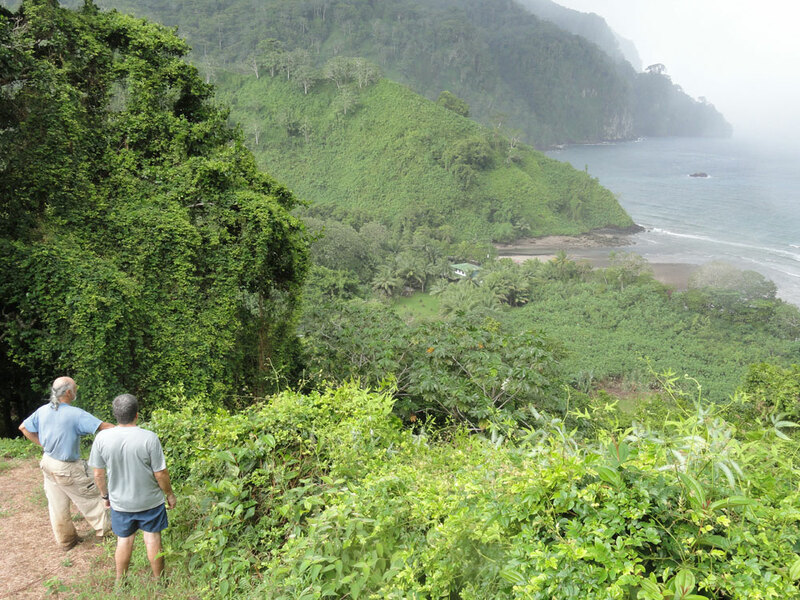 Collaborators Dr. Marino Protti and Victor Gonzalez look out on Wafer Bay while hiking. Photo by Sarah Doelger. Figure 3. 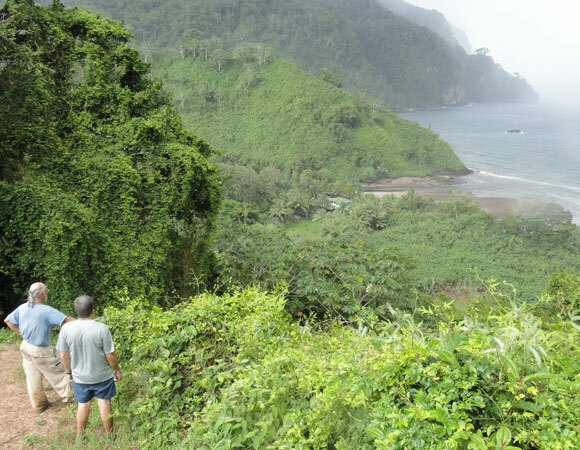 The ranger outpost on Cocos Island. An internet connection is provided, approximately 200m from the GPS enclosure, in the green roofed building behind the monument. Photo by Sarah Doelger. Figure 4. Aerial photograph showing location os ISCO site. Provided by Marino Protti. The Isla del Coco and thus the Cocos Plate is moving at a steady rate of about 91 millimeters per year in a northeast direction relative to the International Terrestrial Reference Frame (IRTF2008), based on the 10 months of data from the new island station (ISCO). This explains the motion of the plate in an absolute reference frame that can be compared to other measurements. 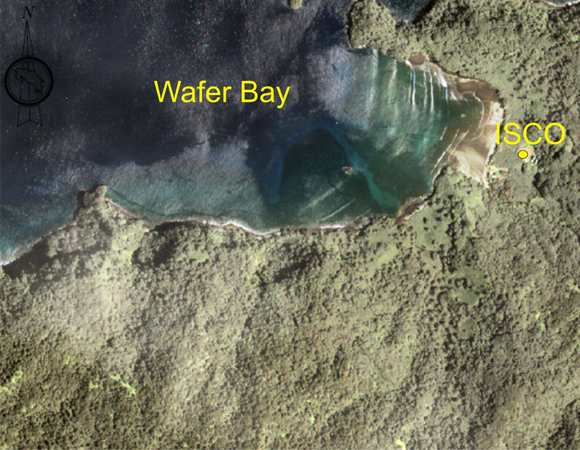 The rate is consistent and more accurate than previous measurements based on temporary stations installed on the island in the 1990s. Compared to the other tectonic plates in the region, the Cocos Plate is converging with the Caribbean Plate at a steady rate of about 78 millimeters per year based on data from ISCO over 10 months. The rate of convergence is similar to a model of plate motions for the past 780,000 years and shows that the Cocos Plate has been converging at a steady rate over this time period. Longer-term models of plate motion over 3 million years indicate that the Cocos-Caribbean convergence has slowed down in the past 780,000 years. Measurements from ISCO are very precise and with more time to collect more data the uncertainties in plate motion can be reduced. So over time, geodesists will be able to decipher exactly how fast and in what manner the Cocos Plate is colliding with the Caribbean Plate. This knowledge will help with earthquake and related hazards mitigation for the millions of people who live and visit the beautiful islands and countries of the pan-Caribbean.